We had a smaller volume of tasks to achieve this year, and one good solid day with a handful of volunteers has seen all the jobs we identified needing to be done finished. Hurrah! We felled only a small number of the Ash trees in one particular area this year, and along with some bramble bashing with scythes, a gate post put in, tracks mulched with woodchip, and general tidying and smartening up this should help to continue to make the woodland a lovely place to walk this coming year. Thanks to those of you who came out to help. Sorry, but we have had to make the decision to cancel this Sunday’s work day as the winds are looking like they will be too strong. We have felled much fewer trees this year, so we may well need only one work day, and all in all it seemed prudent to make this choice. Apologies to anyone who was planning to come and enjoy a day in the woods- hopefully we’ll see you on the 24th February. Community Woodland Volunteer work days- Your chance to get involved with helping to look after your Community woodland! Accompanied children and dogs on leads very welcome! Bring hand tools and work gloves if you have them. Loppers, bill-hooks, bow saws. We will have a small supply available. No experience necessary. Training given. Work to suit all abilities and ages. Come and share some good company, wholesome and productive work and delicious food! I am looking to get skills in plumbing and/or electrics, and particularly interested in those relating to renewable energy systems. I studied Biology and Agricultural Development at university, working on social and environmental issues from a research perspective. I always had an interest in practical work and worked seasonally on farms. 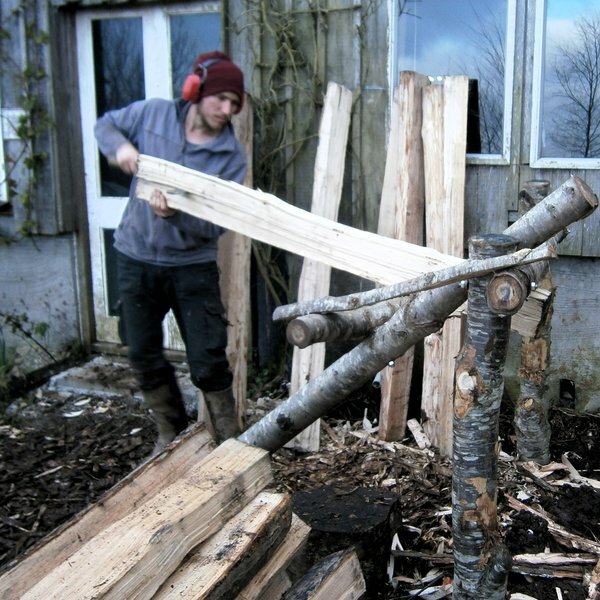 I decided to change track and, since moving to Cornwall and living in a more land-based community, I have been exposed to site carpentry, joinery, green woodworking, gardening, forestry and other land-based activities and occupations, always in quite a low-skilled capacity. Having lived in Cornwall for two years and developing a network of people living on the land and who wish to have more autonomy in the their energy supply, I would like to learn how to install renewable energy systems. This would give an opportunity for me to really specialise in a particular field and set of skills, and which I could use in helping people wishing to switch to alternative energy. Any help or advice on how or where to gain these skills would be greatly appreciated. So, it’s the time for balance – well it’s good to have something to aspire to!! Day and night are of equal length. 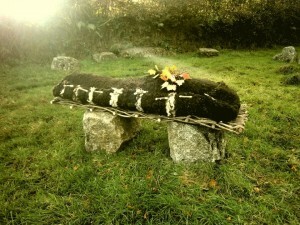 It’s the time to celebrate the harvest and to ooze gratitude. Becoming aware of the changing season gives us another chance to look at things anew. The seeds of ideas and hopes that we plant now will re-emerge in the Spring, strengthened and consolidated by their time in the dark and stabilized by their strong roots. As always, there are plenty of ideas being bounced around at Pentiddy. But very much like our garden this year, we have fertile ground, we just need to decide what to plant and then try and find space to fit it all in!! To help with figuring that out, we take September off from having volunteers on site. Elowen has also now officially left home and is at college in Bristol and Adeon is back to school so there’s opportunity for some deep breaths and dreaming. Bright Fire – Adeon makes fire by friction! 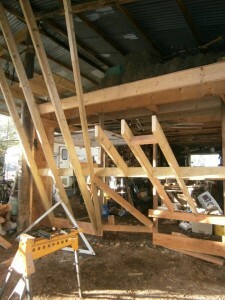 Roundhouse – The walls are complete. It’s the time of year for apple sponge puddings, evening craft activities, reading and the lighting the first of the indoor fires. 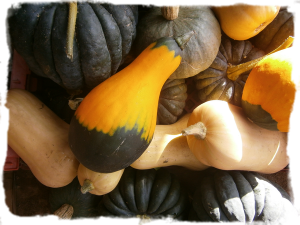 A time for appreciation of the harvest and abundance of food. IT’s been a great year for growing (apart from the lack of water at times). 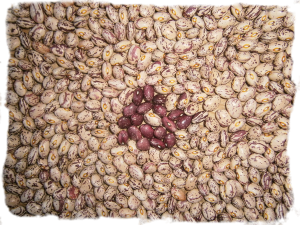 We’ve had bumper crops of sun-loving crops including corn, tomatoes, squashes and beans. Adeon (meaning ‘Bright Fire) had a big moment during the Summer when he succeeded in making fire by friction on his own for the first time. So, following on from Elowen’s Menarchy ceremony last year, we feel it’s the right time to start looking at designing Adeon’s rite of passage to take place next year. Jeremy Thres, whom we know though our 8 shields involvement, has come on board to help us. With his 20 years of study and experience in the field of Initiation and Vision Quests, we feel more confident about creating something to support Adeon in becoming more of who he is at the heart. We were delighted to find out last week that we’ve been successful in our application to Natural England for a hedge and boundary grant. We have been awarded £10,000 towards work over the next 2 years repairing and restoring some of our beautiful stone hedges and laying some of the lengths of over-stood trees and shrubs on the tops. It will be really good experience for the team and it will be great to be able to pay them for their time on it. 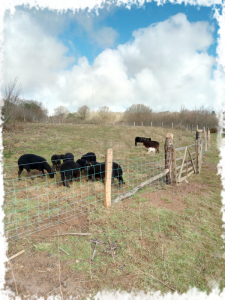 The result will be even better wildlife corridors and effective livestock-proof hedging. Congratulations to Hannan for his hard work with Ele on the application – the funders don’t make it easy! Yes- we still have some firewood available though sales are going well. There are Ash and Alder available, or a mix. A trailer load (about 3/4 cubic metre) is £90 and we can deliver it for free in the local area. Most of this cost is fed back into the Community Woodland Charity, so purchasing it supports the continued running and management of this lovely open-access woodland. 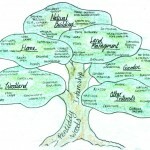 In order for the Community Woodland Charity to function, it requires active community involvement which takes many forms. 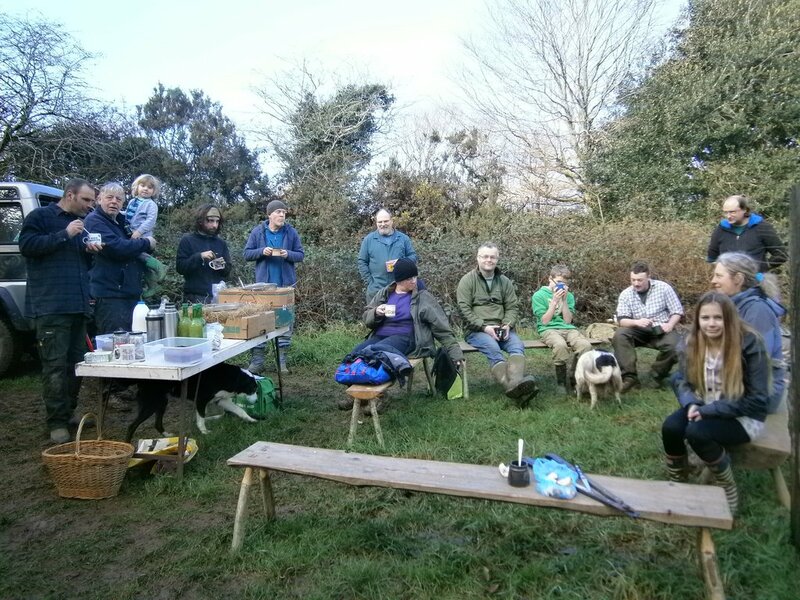 One of these is to join us for the AGM and have your say in the management and running of the woodland- you may even enjoy the trustees company enough to join them! 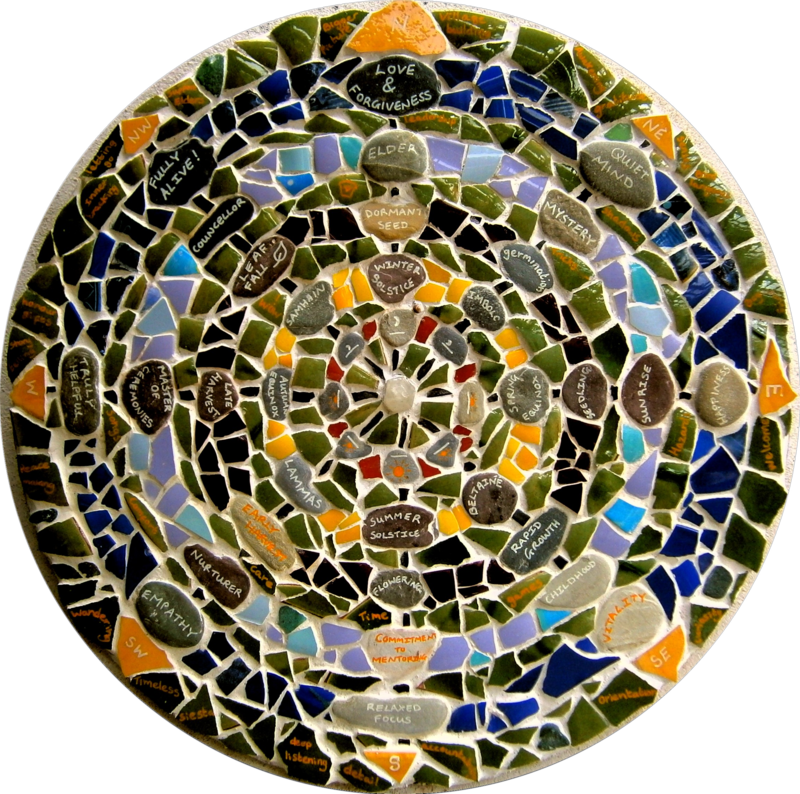 The meeting will take the form of a walk around followed by tea and cake in the roundhouse. It will take place on the 7th October, 4pm-530pm. It would be lovely to see you there! Roundhouse with new Lime walls. 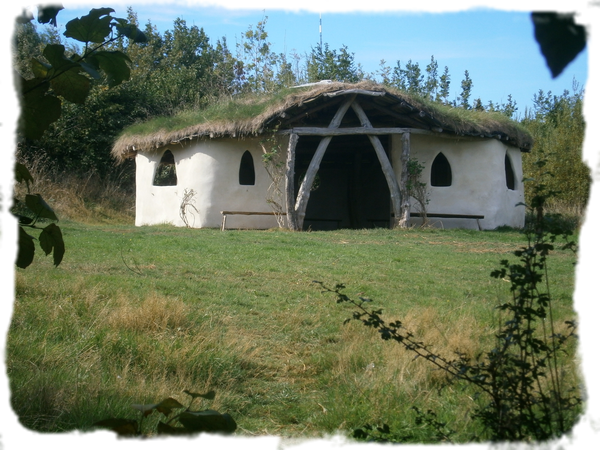 Much of the Summer has been spent refurbishing the Roundhouse. After 10 years of temporary walls it now has wattle and lime walls using the surplus poles from last year’s Hazel coppice cut and some of our neighbours’ excess lime plaster. It looks gorgeous and we’re looking forward to seeing the array of events that it’ll be used for in the next year, including a family wedding! A big thank you goes to our extra volunteers who came along to help out numerous times and especially to Lee for providing the most beautiful hand-crafted breads and other goodies to help keep us smiling. Our 3 full-time Interns will be starting on October the 1st for 9 months. We will ask them to introduce themselves in the next newsletter. We have plenty of interesting work for them to take part in over the coming seasons. The masonry stove will DEFINITELY be happening, as will the creation of the wildflower meadow on the new burial site, a Dying Matters open day in May and of course the coppice season. 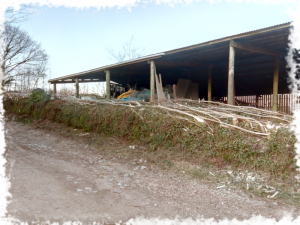 This year we will be doing our first cut of the Chestnut in the Community Coppice. 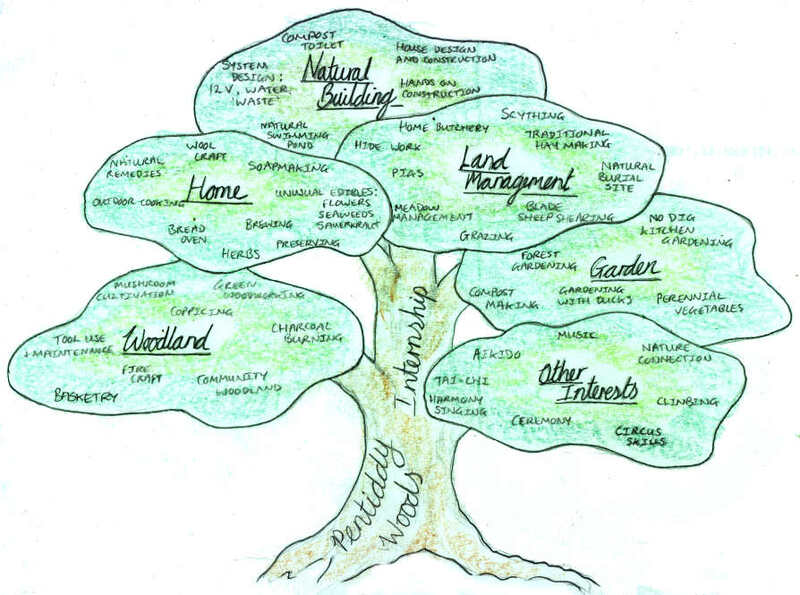 We’ve attended a number of meetings recently to help us clarify our ideas regarding social enterprise possibilities here and the idea of leasing the community coppice to a coppice worker/woodlander/social forester. Watch this space for progress….! 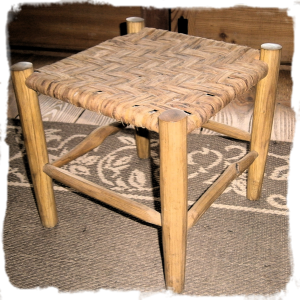 The dates have changed for the woven bark seat post and rung stool making course. It is now set for the 3rd and 4th of November. 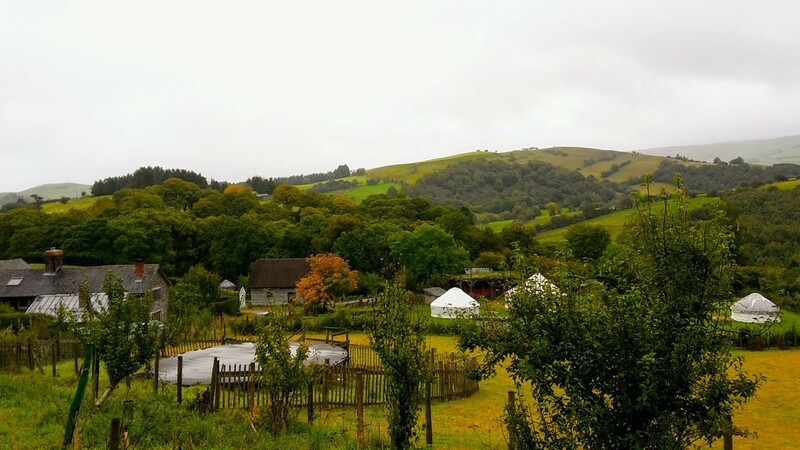 There are only a couple of places left so have a look at the events page for details…..
Community Woodland Volunteer day (March Sunday 25th) CANCELLED! Just to let everyone know that due to two very well attended workdays in January and February we do not need the planned one in March. We have therefore CANCELLED this work day. 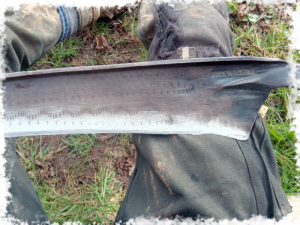 Unless otherwise specified logs will be ringed to around 9″ long and where necessary split- a mix of sizes will be included in the load from 1½” Ø upwards. 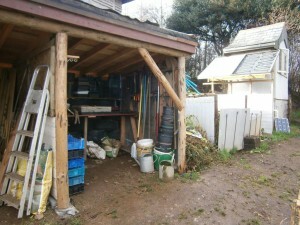 Firewood Purchases will help to support the Community Woodland (Charity no. 1094857). Mid-Winter greetings to you all! We thought you might like a little holiday reading so here’s our latest offering. 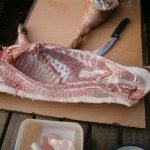 December always seems to be a busy month but add in slaughtering and butchering 4 pigs and it becomes frantic!! Saying that, it all went incredibly well especially considering it was our first time. The results have been much enjoyed already and there’s plenty more to come! We have hams drying, bacon curing, 4 types of sausages, brawn from heads and trotters, liver pate, fried brains on toast, copious jars of beautiful white lard, roasting joints, blood sausage, heart and kidney pie, pork scratchings……the list goes on. Tim took on the bulk of responsibility for organising everything which was a great relief for us and which is why it all went so well! There is so much about the whole process that feels really positive. 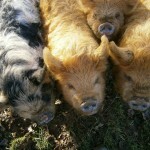 None of the pigs were aware of any impending doom. They were gratefully chewing on orange rind at the time. No faf, no transportation and the massive learning that comes from taking the life of an animal you’ve reared. Although the laws are constantly tightening on home kill, it is nice to know that what we did was totally legitimate. It’s very empowering to know that you can provide your own family with delicious protein and fats without any external inputs and no stress to the animal. This seasons cutting has started well with a large area of hazel which has not been cut before being coppiced. 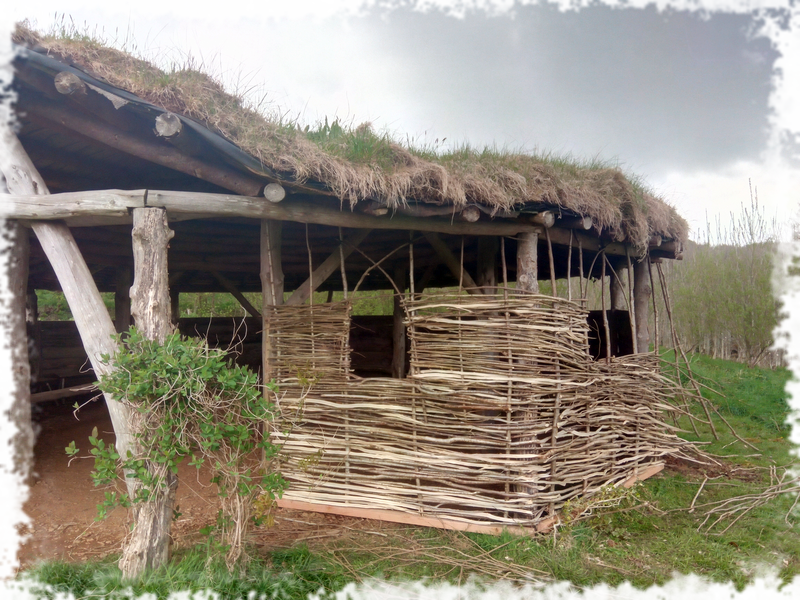 We have been surprised at how much useful product has come out so far, with two orders for bale-spikes for straw bale building projects, beanpoles, pea-sticks and many good weavers for either hurdles or hedge-binders coming out too. 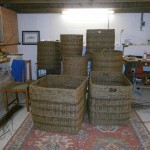 Materials for the bent hazel chairs have also come from this area. Other products we are investigating markets for are faggots (bundled up brash-wood) which are used primarily to stabilise river banks but are also used to fire cooking ovens, and thatching spars which are the hazel ‘staples’ used when re-thatching roofs. The remaining timber will go for firewood and charcoal which will be available for your Summer BBQs. The other product we have started to cut is the willow- mainly the pollards of red willow in the community coppice area, but we will soon be cutting the bigger willow higher up in this area too. Most of the red willow Ele made into around 100 wreaths which Danny and Sheila Hobbs form next door decorated and sold. Basket making has started up again for Ele now she has more time due to Adeon being at school so there will be colourful Pentiddy baskets being made. If you would like to order any Hazel produce then please get in touch. Adeon shot his first squirrel recently, and after eating the meat and offal he decided to do something with the skin. Firstly he put it ‘in salt’- pinning it out and rubbing salt with borax over the inside of the skin and then left it until it was dry. 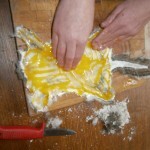 He then scraped it to remove the membrane and once this had been done rubbed 2 egg yolks into it and worked it whilst it dried to keep it supple, this took several hours and was very sticky to begin with then just a little icky after that! The end result however is a very soft pliable skin but if left like this it would revert to ‘crispy’ if it were to get wet, so to preserve it it needed smoking. 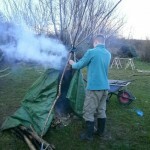 We found some ‘punky’ wood (wood that is soft and crumbly- too far gone for firewood) which creates lots of smoke. Adeon erected a pyramid of four poles and wove a light ‘web’ high up with string, then placed the skin on the web, wrapped it all in a tarp and placed it over a smouldering, smoking fire. It’s turned out to be of amazing quality. The next stage will be to sew it into a pouch of some kind but until then it’s decorating his bedroom wall. We have finally got around to writing an outline of the internship we are proposing to start from October 2018. This is a really exciting opportunity for the right person so spread the word! 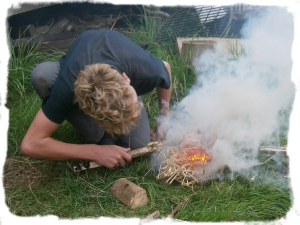 The internship is an opportunity to join our family for 9 months living off-grid on an established experimental woodland smallholding. 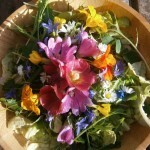 From October each year through to the following July we are offering a full, rounded experience in sustainable living. You will be trained in numerous essential skills for setting up your own project. 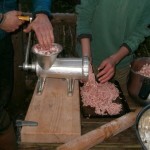 There will be a small training budget for off-site courses, free weekends (except during hay-making time! ), 1 day each week for more flexible study or skills learning. 4 days a week helping on a variety of interesting tasks around the land. We can only offer 2 places each year, and we would obviously prefer you to visit beforehand if possible. Please in the first instance apply in writing or by e-mail. For further information on this please visit www.pentiddy.co.uk/pentiddywoods/volunteers/ or click on the image for more detail. Please make a note of the dates for the volunteer days for helping in the Community Woodland. 14th January, 25th February, 25th March all from 10am to 4pm. More details available in the Calendar. 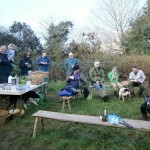 Come and join us and we’ll feed you and share out the resulting firewood. 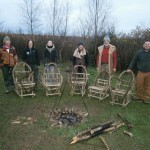 The course in November was a great success. All participants had a fun time and went home with beautiful chairs. 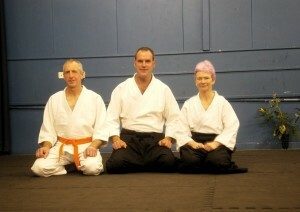 The next course is 27th-28th January. Before Christmas it was fully booked but due to very difficult family health issues one couple have had to pull out so there are still a few spaces left. Ele just wanted to share a photo of one of our December salads. Such a lift to eat bright colours at such a dark time of year! As always it’s really nice to get your feedback on the newsletter- please feel free to e-mail us. The pond has moved along well- but was slowed for a while due to an unforeseen issue- finding the right type of gravel for the planting/filtration areas. On reading much on the subject it seems that the size of gravel is fairly specific, and also it needs to be clean- we found that most granite chippings available locally are not washed and therefore contain a variety of particle sizes including fine sand- which is great for surfacing a drive, but not good for filtration, in fact it would quickly clog up the system completely. We eventually managed to find what we needed, and find it locally. 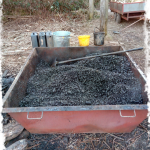 Little John’s pit in St Austell came up trumps with 20 tonnes of a 14mm washed gravel, and they delivered it to site at a very reasonable price- thank you to all we spoke to! 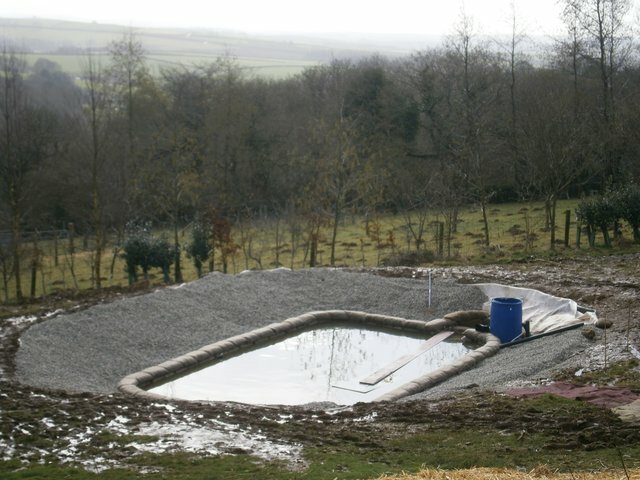 Unfortunately though, they could not get their lorries down our track to the pond so the mountain of gravel was delivered outside the barn, so Tim and Anthony have been wheelbarrowing it to the pond… slow, laborious and very muddy work! Nearly there though and looking really good. The water level in the pond is gradually rising, and all the filtration and aeration system is in place, along with one underwater light because Anthony likes lights! The pontoon which will allow us to dive into the pond is also under construction. We just need it to fill to it’s intended final level so we can complete the planting and test these systems. 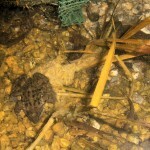 We have introduced some oxygenating plants too, and hope the frogs will like the gradually clearing result! On April the 8th we will be opening the site here to an event tied into the Small woods Association national bean pole week… This is already looking like it will be a fairly large event with a ‘local and sustainable’ theme- and over 30 stalls showcasing businesses and individuals from the local area. It has been an interesting process drawing all the necessary bits together, and our main hope now is that the weather is kind to us on the day! If you are interested in finding out more about this day and the stalls and talks happening, please visit the Open Day event page. If you would like to support the event in a more practical way, we are looking for volunteer stewards to help with the parking on the day just for an hour each…. No not a mis-spelling! Ele has been doing some chemistry with onion skins, rust and metal salts to dye some curtains intended to hang across the lounge beam. 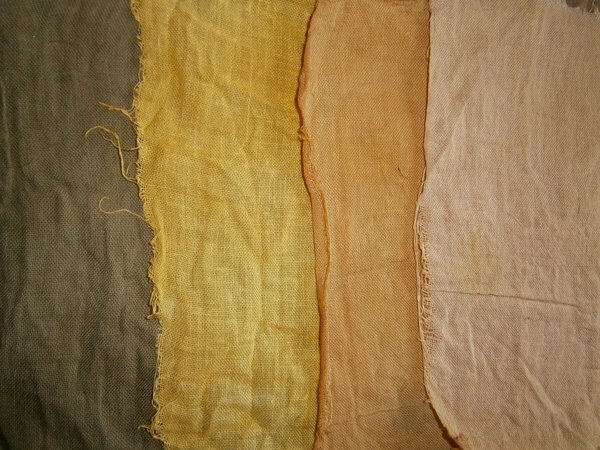 Various colours have been achieved by using different mordants at different stages in the process, from oranges and yellows to greens. The orange colour Ele chose has taken very well, and the cloth is drying now ready to be hung soon. Thanks to the members of Canoryon Lowen (the choir Ele is in) for collecting 500g of onion skins over Christmas and to Sarah Cole for her moral support! We thought we might do a profile here. We realised that you may have heard mention of Tim, but we have not introduced him so… Tim came here for a month last March, and despite all we have thrown at him he has not yet left! 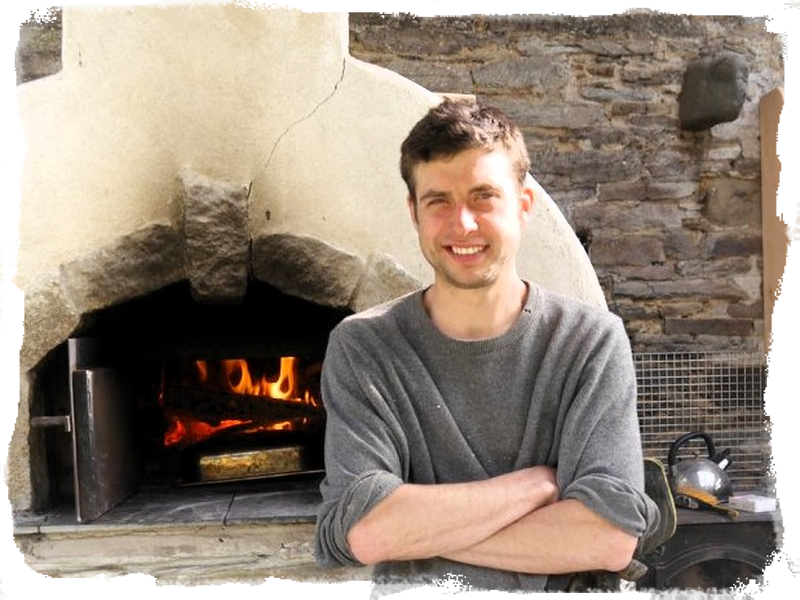 He was born in Australia (too hot), grew up in Dubai (way too hot) and has been WWOOFing in Ireland, Wales and England for two years now (just right). Last year he was key to the massive hay-making project and bramble bashing efforts as well as the 1,000,001 other jobs he’s taken on here. Lately he’s been busy helping barrow gravel down to the pond and, when it’s really wet, making rakes in preparation for the next hay cut (for which he’s lusting after a 110cm Rasierschnitt on a Danish-style snath). He’s getting kune-kune pigs in about six weeks and has started making cleft chestnut gate hurdles, which he hopes (possibly in vain) to use to rotate the pigs around Becky’s field with. He’s been milling rye grains recently and has got a vigorous sourdough living in the airing cupboard but can’t seem to get the hang of a rye sourdough that isn’t gummy…yet. He has recently received a promotion from ‘WWOOFer’ to ‘apprentice and adopted family member’. He really does keep the whole place on track and keeps energy and enthusiasm going when we’re flagging. He’s with us for at least another year so you’ll be hearing lots more about him. When Tim arrirved last year he brought with him a bottle of birch syrup which was absolutely delicious. However it was at that point too late in the year for us to tap our trees, but Adeon and Tim have tried a little this year, and made small amounts of syrup. We think maybe we are still a little late, but have had some small success, and enjoyed having the results on our weekend pancakes. 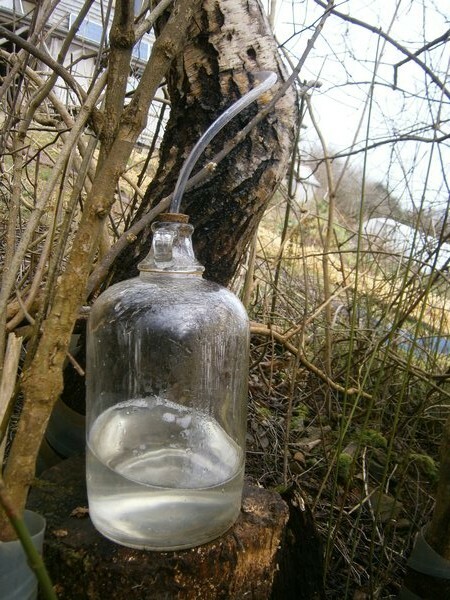 Birch sap reduction is much higher than with the sap of other trees such as the Sugar Maple or Red Maple, so you get much less syrup for the volume of sap collected. We planted a Red Maple tree several years ago because apparently it is the best sap tree for the uk climate as well as being a very attractive tree, but we have never tapped it and it seems that it should have been tapped even earlier than the birch, so we’ve missed our opportunity for this year. 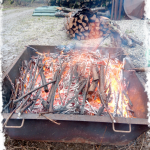 We had a lovely day in the Community woodland on February 19th and cleared most of the Ash which had been thinned through the area near the main gate. The weather, though not sunny was dry and pleasant. There was lots of interesting conversation and a lovely lunch. We have another day planned on March 12th and if anyone can make it out to lend a hand for an hour or two (or all day!) we will welcome you, and we’ll also feed you! This day will include some general tidying, and some planting of a few oak trees in sparse areas…. I ‘suspended’ notifications, subscriptions and unsubscriptions whilst I checked things and double checked them. Another sharp learning curve later, and with the installation of extra security on the website and a few other tweaks It is now fully working again. Thankfully it apperars due to the nature of the hack that this did not put any of you at risk, your computers and e-mail details remain intact. Phew! Could you please let me know if you get more than one notification this time so I can work out why. Thanks all for your patience.